“Jauja” has its Madison premiere on Saturday, March 7 at 7 p.m. at the UW-Cinematheque screening room, 4070 Vilas Hall. Unrated, 1:50, three stars out of four. FREE! 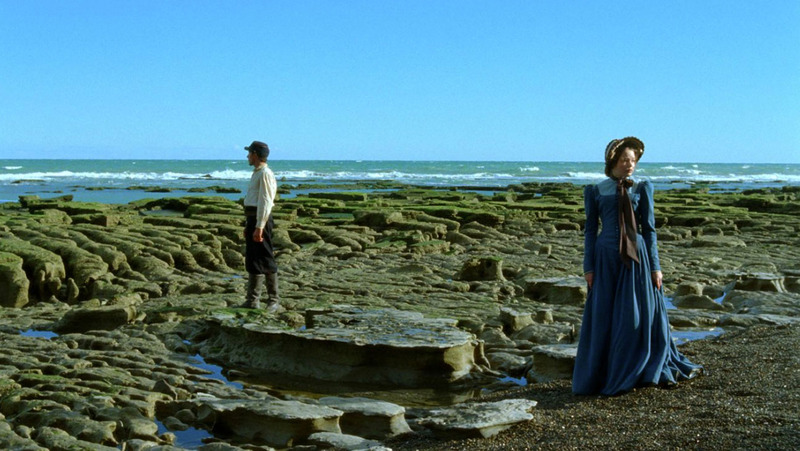 Lisandro Alonso’s “Jauja” is shot in a boxy 4:3 frame that used to be the standard for movies. But interestingly, the edges of the frame are rounded, the colors deeply saturated, making each frame look like an old photo you might find in a shoebox in your grandfather’s closet. That anachronistic out-of-time sensation suits “Jauja” well, both for where it’s set, and where it’s going. Argentinian director Alonso is known for experimental films with little dialogue and slippery narrative rules. 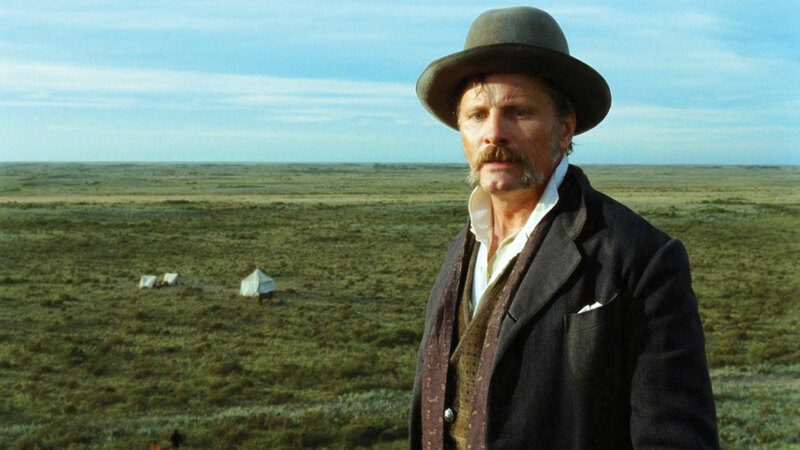 At first, “Jauja” seems like a much more traditional sort of film, with lots of dialogue and a big star (Viggo Mortensen) in the center. But don’t be fooled. Mortensen plays Captain Gunnar Dinesen, a Danish soldier who has come to Patagonia in 1862 to take an engineering job with the Argentinian army. Soldiers are clearing out (i.e. massacring) the indigenous population to make way for European settlers. There’s one shot that captures all Alonso needs to say about the predatory nature of colonialism, as Dinesen, tired from a ride, greedily gulps down a canteen of water. Behind him, we see dozens of slaves toiling away in the hot sun. Dinesen has brought his 15-year-old daughter along on the trip, and, surrounded by lascivious soldiers and a beautiful but pitiless landscape, he soon realizes that this is no place for a young girl. Or for him. Rumors start circulating that a soldier named Vaguara has been driven insane by taking part in genocide and has begun leading armed revolts against his former comrades. Then, Dinesen’s daughter disappears. Dinesen wanders the landscape in near silence looking for her, coming across evidence of both Vaguara’s savagery and the army’s cruelty along the way. Much of this plays largely in silence, like a marriage of “Apocalypse Now” and “Gerry,” For a mainstream star, Mortensen seems more than game to convey Dinesen’s growing fear, anger and shame largely non-verbally. Up until now, “Jauja” seems like an arty but rather straightforward historical drama about the brutal legacy of colonialism. But Alonso is just getting warmed up. Dinesen stumbles across an old woman living in a cave, and the cave turns out to be a rabbit hole of sorts that both Dinesen and the audience fall into. I won’t reveal where it leads, except to say that “Jauja” is a much more playful and post-modern film than it first lets on to be. “Jauja” kicks off a series of new Argentine cinema sponsored by the UW’s Latin American, Caribbean and Iberian Studies. Immediately following “Jauja” at 9 p.m. will be Martin Rejtman’s “Two Shots Fired,” an absurdist comedy about the aftermath of a teenager accidentally shooting himself (and surviving). Both screenings are free.